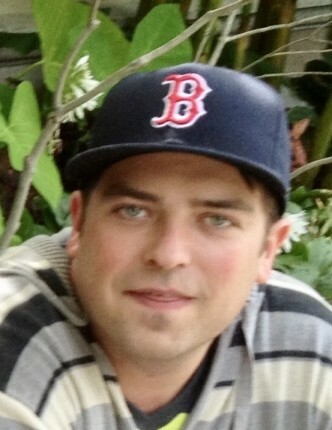 Age 32, died at his home in Marblehead on Monday, September 10, 2018. He was born in Winchester, to Joe and Debbie (Wright) Walsh, and was the youngest of their children. Ted was a kind and gentle person who made friends wherever he went. His wit was often held in reserve until he unleashed one of his memorable one-liners. Ted was a champion at the trivia of The Simpsons and an avid collector of vintage toys, both hobbies that he passed along to his nieces and nephew. He was raised in Arlington and Brighton, lived in Winthrop and Marblehead, and enjoyed trips with his grandparents, aunts, uncles and cousins to Canada, Cape Cod, Key Largo and Wyoming. Ted blazed his own trail, conquering the high desert of Idaho before he turned 20, and bravely fighting the other obstacles that life placed before him each day for the rest of his life. Ted is survived by his parents, Joe and Debbie, of Winthrop; his brother and sister-in-law, Joey and Samantha of Davidson, NC and their children, who were Teddy’s beloved nieces and nephew; his grandparents, Bruce and Susan (Jeffrey) Wright of Arlington; and many loving aunts, uncles, and cousins. He will be welcomed to his next home by his grandparents, Joe and Virginia (Conley) Walsh, of Dedham and Allston-Brighton. Friends and family are invited to a celebration of Ted’s life on Thursday, September 20 at 5:30 PM at Winthrop Yacht Club, 649 Shirley Street in Winthrop, with a reception to follow. Our family is humbled by the support we have received the past two days. Many people have reached out to ask what they could do or if a donation should be made in Ted’s honor to a favorite family charity. The greatest gift anyone could bestow on behalf of Ted is to be kind and compassionate to someone living on the margins of society. Ted lived the past twenty years with overwhelming anxiety and often times fear. Please, please do not underestimate the significance of a smile, a kind word, or an act of warmth and love to someone living with these challenges. We all have had a tough day but imagine living with that burden without a foreseeable end. Thank you for understanding of our wishes. We hope that Ted’s life will not have been in vain because someone who is living this life may be comforted by your kindness.